Song of the day: Falling Joys – "You’re In A Mess"
I love a song that adds a completely new melody to the last lot of choruses and then reintroduces the original melody in the chorus so that you end up with overlapping melodies. When I hear overlapping melodies I swoon. 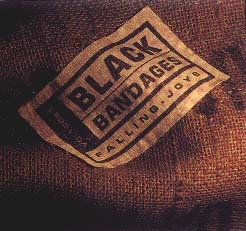 Song of the day: Falling Joys – "Lock It"
I love listening to this song on headphones because of a guitar in the mix. In the verses it moves steadily from one side of the soundstage to the other – left to right – and when it gets to the end it starts from the left all over again. Love it, love it, love it. I suppose for some people it might be infuriating, but I find it hypnotic (sort of like “follow the bouncing guitar”). The song also has wonderful layered vocals in the choruses, and towards the end of the song there’s an entirely new melody for the chorus. Great stuff. 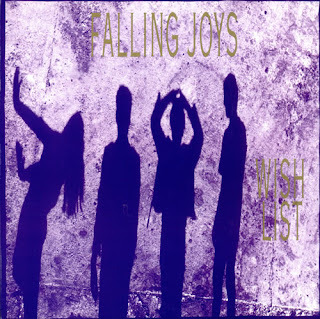 Song of the day: Falling Joys – "Black Bandages"
Song of the day: Falling Joys – "Jennifer"
You are currently browsing the archives for the Falling Joys category.